Featuring a highly adjustable design, the Steel Vladimir Tasset Belt consists of two tassets with a layered, segmented construction attached to a sturdy leather buckled belt. The tassets are secured to the belt with eyelets and cord, making them removable for readjustment to best suit the wearer. 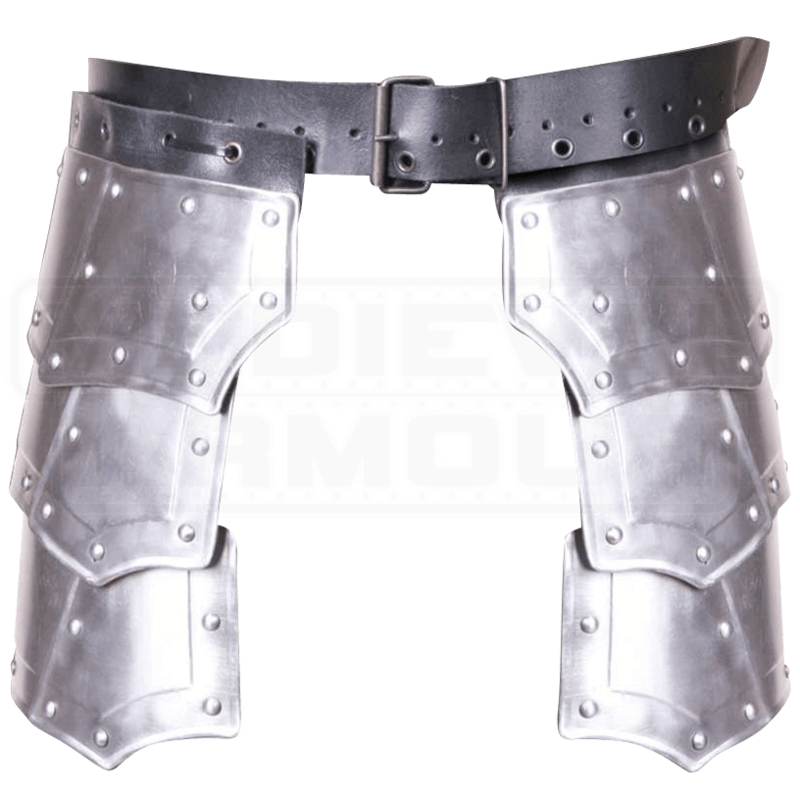 The 18 gauge steel plates are decorated at their edges with rivets, adding interest to this functional leg armour. 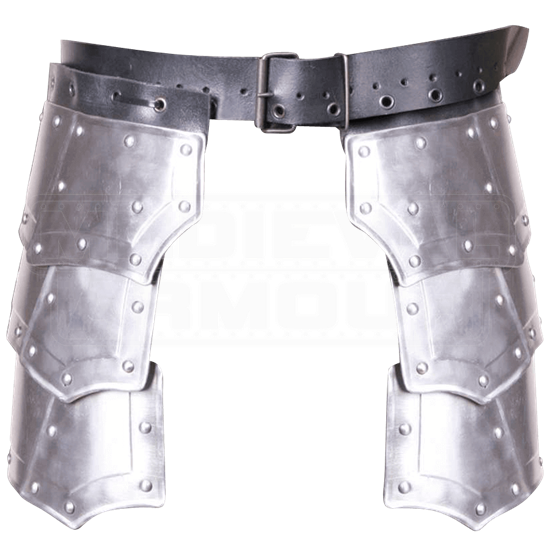 Pair it with the Steel Vladimir Cuirass (MY100046) for a complete, matching look, or mix it with any of your favorite armour pieces for a unique LARP or light reenactment outfit.